Winter, 2015, for the March NY Pier Show. Summer-Fall, 2014, for NY Pier Show and Pottery Lovers Reunion. Winter to Spring, 2014, for Arts & Crafts Conference, and AAPA Convention. Summer-Fall, 2013, for NY Showplace, Pottery Lovers Reunion and more. Winter-Spring, 2013, for Arts & Crafts Conference, and AAPA Convention. Summer-Fall, 2012, for NY Showplace, and more. Fall-Spring, 2011-2012, for Arts & Crafts Conference, AAPA Show, NY Showplace, and more. Spring-Summer, 2011, for AAPA Convention, and for Pottery Lovers Reunion. Winter, 2011, for NY Americana & Antiques at the Pier, plus Arts & Crafts Conference. Spring-Fall, 2010, for AAPA Convention, Pottery Lovers Reunion, and NY Showplace. Winter, 2010, for NY Ceramics Fair, and the Arts & Crafts Conference. Fall, 2009, for NY Pier Show, Art Pottery Exhibition in Ohio, and for NY Showplace. 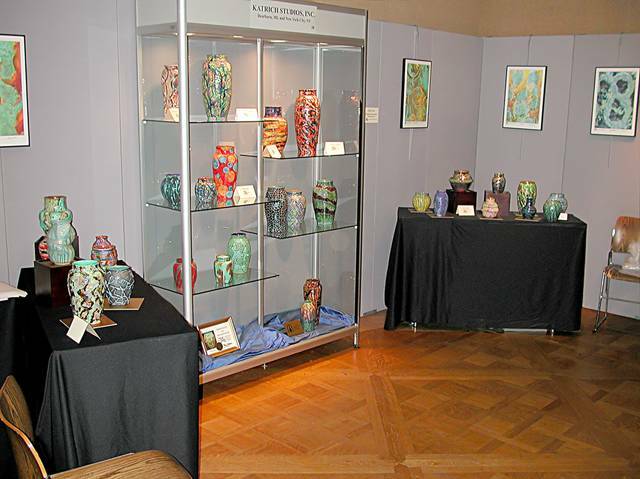 Summer, 2009, for Pottery Lovers Reunion Show, and for NY Showplace. 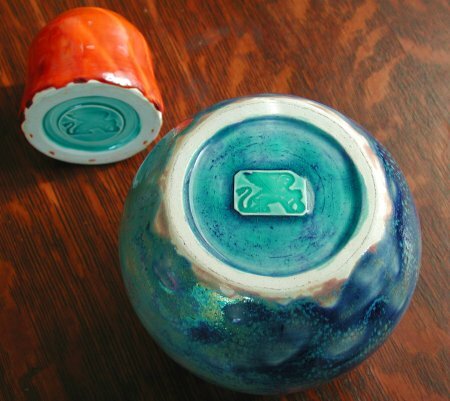 Spring, 2009, for AAPA Art Pottery Show & Sale. Winter, 2009, for Arts & Crafts Conference. Winter, 2009, for NY Ceramics Fair. Fall, 2008, for NY Pier Show, and for NY Showplace. Summer, 2008, for Pottery Lovers Reunion Show. Spring, 2008, for American Art Pottery Association Show & Sale. Winter, 2008, for Arts & Crafts Conference, and for NY Showplace. Fall, 2007, for NY Pier Show, and for The Showplace. Summer, 2007, for Pottery Lovers Reunion Show. Spring, 2007, for Arts & Crafts and AAPA Convention & Show. Winter, 2007, for Arts & Crafts Conference. Winter, 2007, for NY Ceramics Fair. Fall, 2006, for Fall NY Antiques and Fine Art Fair. Summer, 2006, for Pottery Lovers Reunion. Spring, 2006, for Everson Museum, AAPA Convention & Show, Dalton's in Syracuse, NY, and NY Showplace. Winter, 2006, for Arts & Crafts Conference. Winter, 2006, for NY Ceramics Fair. 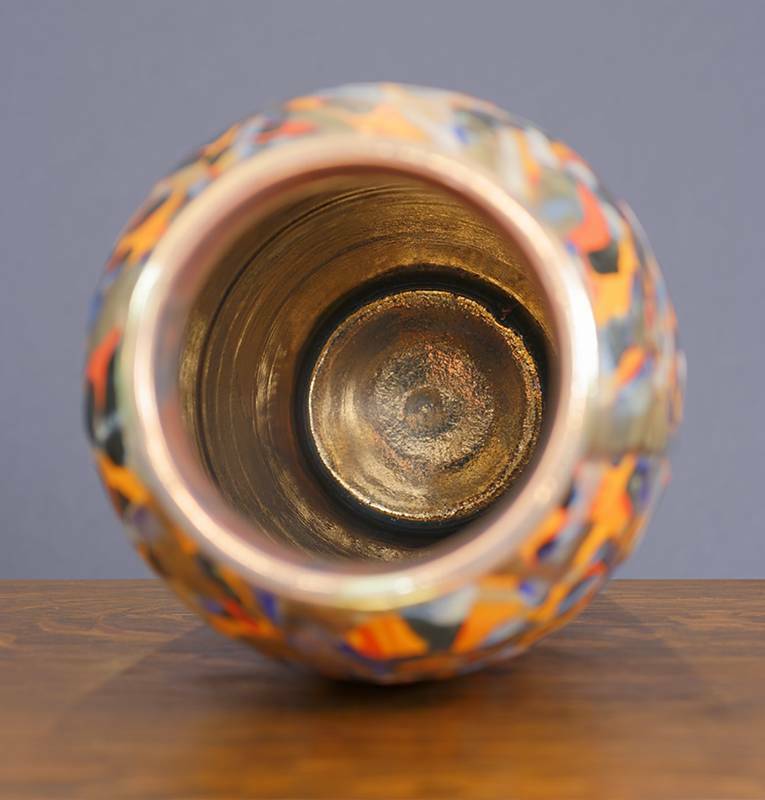 Fall, 2005, for Pottery Expo in Old Greenwich, Connecticut, and for NY Showplace. Summer, 2005, for Wendy Fall Fair at Park Avenue Armory in NYC. Summer, 2005, for Pottery Lovers Reunion. Winter-Spring, 2005, for AAPA Convention and Show. Winter, 2005, for Arts & Crafts Conference. Fall-Winter, 2004-05, for NY Ceramics Fair. Spring, 2004, for Paul J. Katrich Solo Exhibition in New York City. Winter, 2004, for Arts & Crafts Conference. Winter, 2004, for NY Ceramics Fair. Fall, 2003, for Pottery Show California. Spring, 2003, for American Art Pottery Association Convention and Show. Winter, 2003, for Arts & Crafts Conference. Fall, 2002, for Pottery Show California. Winter, 2002, for Arts & Crafts Conference. Fall, 2001, for CA Pottery Show California in. Spring-Summer, 2001, for CA Arts & Crafts - San Francisco. Winter, 2001, for NC Arts & Crafts Conference. Fall, 1999, for the first Paul J. Katrich Solo Exhibition. Sculptural works made from 1995-1997.
the Edgar Allan Poe poem, The Bells. Bells are "appealing to the mercy of the fire." To a potter, fire is fundamentally a creative element. positive. You may be the judge of their objective." please click on an image. important, public and private collections. as was found in creating the pottery. the earliest existence of the vessels. and intellectual, to maintain this record. In so much as possible, it is absolutely complete. comprehensive an account of unique work. has been attempted or so long preserved. scholars and pottery enthusiasts of every stripe. for the works of Paul J. Katrich. We hope that you enjoy our efforts. Paul J. Katrich is a modern traditionalist. he offers a variety of professional design services. you regarding your needs and interests. onto the bottom of the vessels. "A Grecian Sphinx appears on all authentic ceramic works of Paul J. Katrich. The Sphinx is a symbol shrouded in myth and antiquity; revered in many cultures. "I adopted this signature to demonstrate respect for the artists of the ancient East, whose pottery is a constant source of wonder. For me, the Sphinx is a guardian of arcane knowledge and many mysteries. 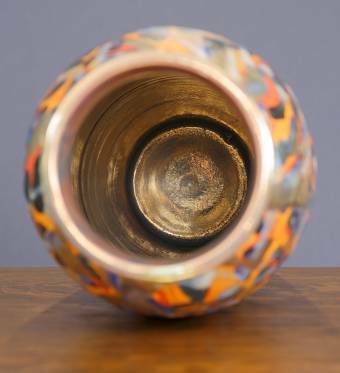 "By tradition, the vessel held in her paws denotes life and special insight. "She has faithfully served Katrich Studios, as a companion and good-luck token, for many years. May she do as much for the possessor." and choose the option "Show picture". please click on a photograph or graphic. Most images will open in a new window. to fit in the new window. 1. Point your mouse at the image in the new window. 2. Click your right mouse button. 3. A menu will appear. 4. Left click on "Save Image" to download a file. 5. Then in your computer, double-click the image file. This method works for most Internet images and graphics. A free image viewer is IrfanView for Windows. IrfanView opens most images and graphics. when you can not save an image, for whatever reason. Google "IrfanView" for the latest version. If you know someone who is blind or cognitively impaired, our photographer, George Lees, who also was a Special Education Teacher, has written a guide on adapting Windows computers with free software. Please download and share this document. All text and pictures at this website are copyright protected. 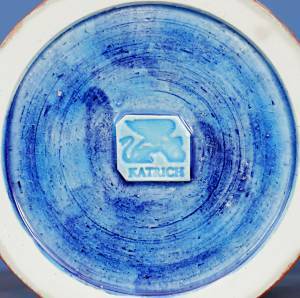 The descriptions, designs, photography and videography of the art, pottery and history of Paul J. Katrich are copyright © 1995-2015 Katrich Studios, Inc., and all rights are reserved. Individuals and entities may not reproduce, use, copy, plagiarize or otherwise borrow anything without the express written permission of Katrich Studios, Inc. Violators will be prosecuted to the full extent of U.S. and international copyright law. The only exception is for limited, traditional "Fair Use," where attribution to Paul J. Katrich must be indicated. Additional text and pictures with links about places, events and websites are owned by their respective copyright holders. Katrich Studios, Inc., provides these links as a courtesy, and is not responsible for use of these links or the content on other websites. Your privacy: if you send us e-mail and paper addresses, they are only used to send tickets and information about Katrich Studios. We will not sell or give your addresses to others. The Trademark of Paul J. Katrich, shown on these pages and elsewhere, is registered in the US Patent and Trademark Office, and all rights are reserved.